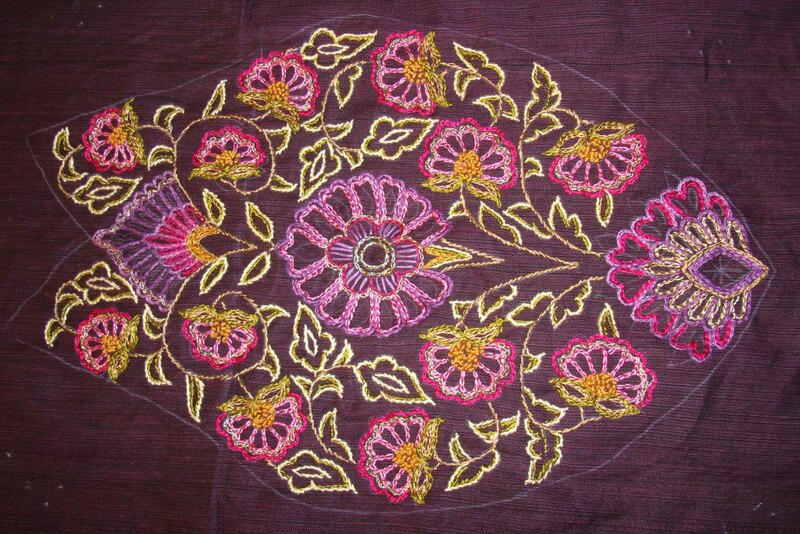 Cotton skeins were used to work the embroidery. 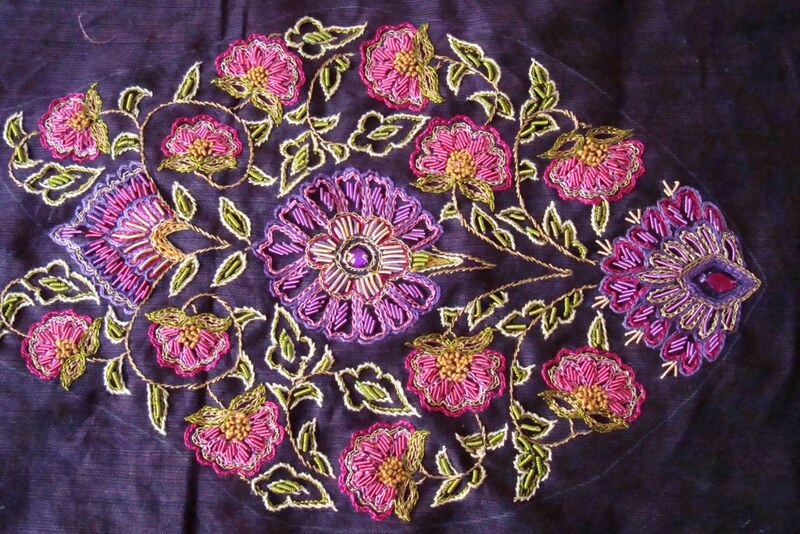 Stitches worked were, stem, chain and french knots. 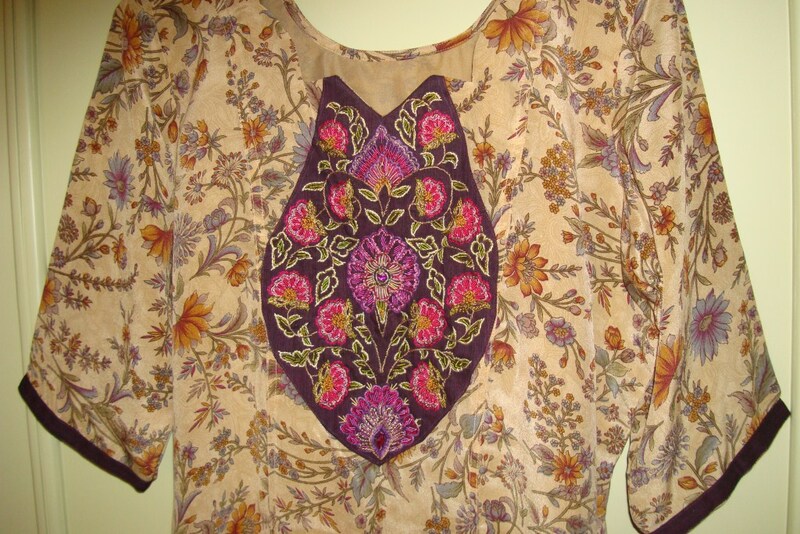 I wear a salwar on deep violet [same as the yoke fabric] with this tunic. A synthetic crepe dupatta in violet completes the outfit. 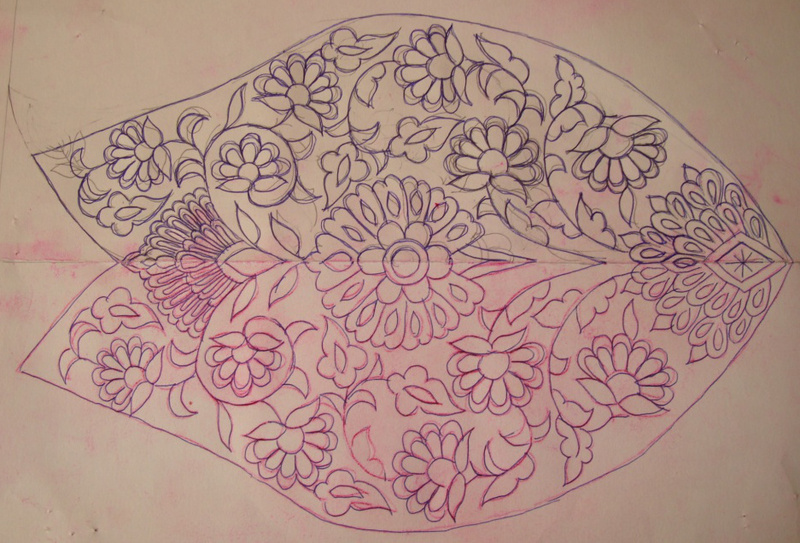 The fabric and print did not require any embroidery. when I was in a mood for some zardosi work, this tunic got hit!